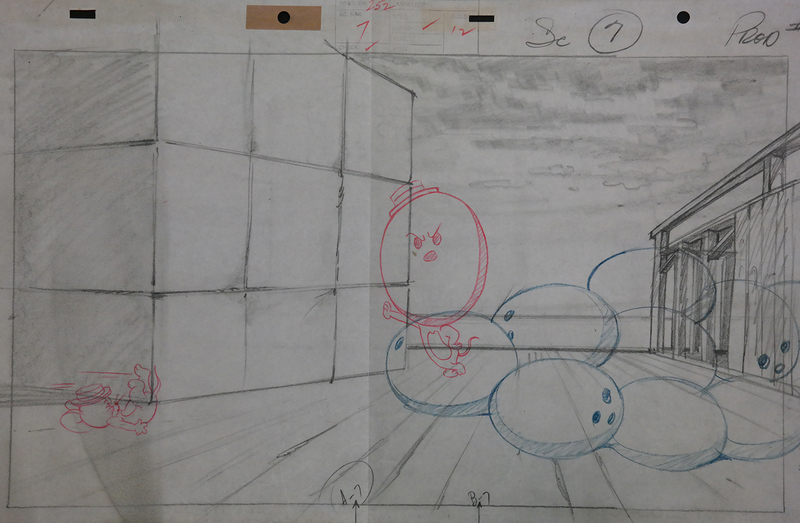 This is a great layout drawing featuring Jerry from the 1952 Tom and Jerry cartoon, Cruise Cat. The animation paper measures 10.5" x 25" and the image measures 9" x 16". There is a vertical crease to the page.